Check it out Utah powder fans.... Looks like everyone involved stepped back from the cliff, at least for this season. Let the rejoicing commence!!! 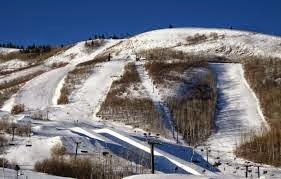 PARK CITY, UT-- September 9, 2014 - Park City Mountain Resort (PCMR) announced today that it will pay the $17.5 million bond amount ordered by the Court to ensure the resort will open as planned this season, scheduled for November 22, 2014. "Our goal has always been to keep PCMR open for the upcoming 2014/15 season and beyond," said Jenni Smith, President and General Manager of PCMR. "Paying the bond ordered by the judge will provide our employees, the Park City community and our many guests the certainty they've been waiting for about our upcoming ski season." Under Powdr's 20-plus years of ownership, PCMR has grown into a world-class resort that continuously ranks among the top five resorts in North America. Powdr has built strong community ties and been a part of Park City's continued rise as one of the best towns in the country. "I am very happy that the resort will be open this year," Smith continued. "While the most important outcome today is that PCMR will be open for business, the bond payment is only a short term solution for the 2014/15 season. As such, we will continue working with Vail toward a reasonable and fair long-term solution."